Foreigners who visit India have to possess a Valid Passport and an Indian Visa obtained from Indian Mission in abroad. Submit a copy at Indian Visa Application Center along with the supporting documents on the scheduled date and time for interview. If you had applied for the visa and wants to know the visa status you can visit the website http://indianvisaonline.gov.in/visa/VisaEnquiry.jsp and enter the details and click on check status. After receiving the application for Visa it will take a minimum of 3 working days to process the application and Issue a Visa. 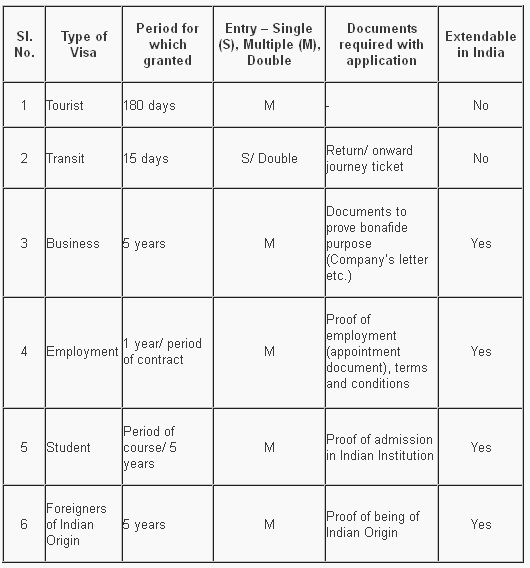 You can know the Fees of any Type of Visa at IVAC Office or in Indian Embassy. Basic Fee will be displayed while completing the application. There will be some addition to the basic fee and there fees is non-refundable. For more details about filling the form and others please visit the website http://indianvisaonline.gov.in. If you cant print the Application Form after registering you can do it later by clicking on Re-Print Registered Application. Print Out of the Form is required for submitting the application along with the supporting document at Indian Visa Application Center or Indian Embassy.